I remember my very first trip to Las Vegas like it was yesterday. I had everything planned out in advance. I did my research on restaurants. I did my research on bars. I spent a good two days scouting hotels on Tripadvisor to figure out where to stay. I even joined Facebook groups to find discounts on show tickets. My goal was to get the best rates so that I could gamble more. My plan worked wonders, except when it came time to actually gamble. I complete forgot to research which casinos offered the best loyalty programs and had a history of coping players. So I did my due diligence live and person. 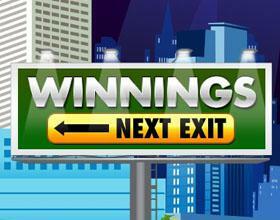 I bounced from casino to casino in search of the best bonuses. And I didn’t just walk from casino to casino. I rented a car, zigzagging on and off the strip in search of something great. And you know what I found? Practically nothing. Aside from a $5 chip match voucher from a casino off the strip, there were no bonuses to be found. It was frustrating, and that experience doesn’t just happen live. It happens online too. Some casinos offer great bonuses for Blackjack players but nothing for keno players, or vice versa. Some casinos don’t let you redeem bonuses unlimited times. 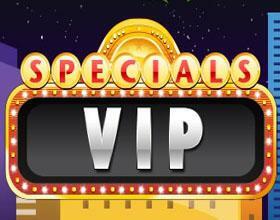 Other casinos offer bonuses for new players but nothing for VIPs. If that’s been your experience, you’re going to love the Palace of Chance monthly promotion now live through the end of June. If you’re tired of racing down the information superhighway (sorry to bring back a 1990s reference that no one uses anymore, but it works for this analogy), merge right and take the exit to Palace of Chance. 560% match bonus. It’s valid on slots and keno games and it comes with a 30x playthrough and a 10x max cash-out limit. You need to deposit $70 or more to take advantage of the bonus and you’re welcome to redeem it unlimited times. 310% match bonus. This one works on all allowed games and takes just $30 or more to redeem it. The best part? It works on all allowed games. The same 30x playthrough (60x for Blackjack) and 10x max cash-out rules apply. 160% match bonus. This generous bonus is great because it works on all allowed games except for Blackjack. And if you’re not a fan of playthrough requirements or max cash-outs, you’ll love this one because it comes with neither. If you’re a new player, you’ll love these bonuses. But if you’re a VIP, there are three even more impressive bonuses with your name on it. This month, Palace of Chance is offering the same bonuses and conditions to VIPs as mentioned above, but the match bonus value increases to 630%, 380%, and 230%, respectively. Don’t forget, you’ll need bonus codes for each of the Monthly Promotion bonuses. You can find them on our Monthly Promotion page. But you need to hurry. As of July 1st, the onramp to bonus town is closed.